Film the ever-powerful medium — has the power to change the course of our lives, and this is precisely what happened to our friend Ken Thwaits. When Ken was a boy growing up in Los Angeles, his father went to go see the film Grand Prix — and while he was already in his 30s — the film had planted a seed and Ken’s father decided he wanted to take up auto racing. Growing up on and around a racetrack, but still without a driver’s license of his own, when Ken was a fifteen-year-old, his need for speed stronger than his conscience, he would load their go-karts into his father’s 1957 Chevy van to go race. By eighteen Ken was racing his father’s cars regularly, and he went pro in 1984 going on to win the Formula Mazda Pro Championship in 1985 and raced in the Long Beach Grand Prix three years in a row. Thirty-five years later, and now sixty-two-years-old. 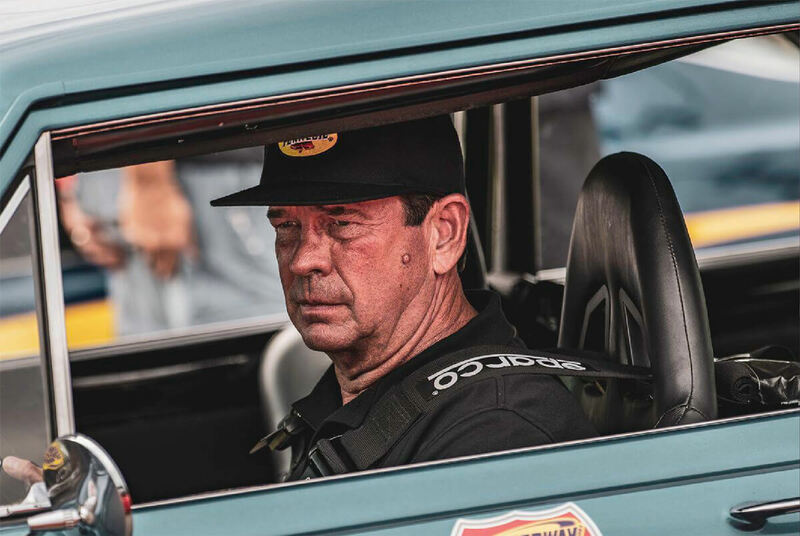 Thwaits’ still collects and races cars — his passion for going fast is as strong as ever. 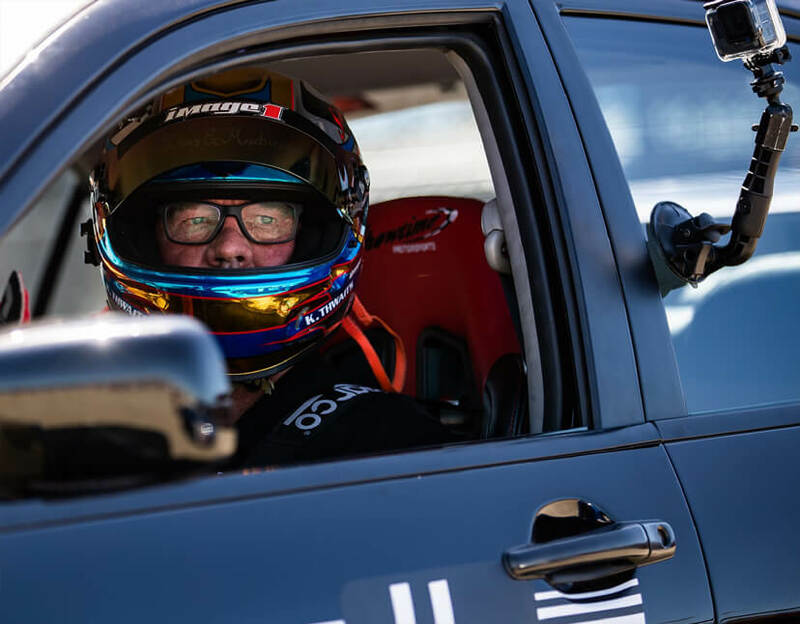 Never letting go of the risk and reward lifestyle that has marked his life, we head out to Nashville to watch Ken race and learn a bit more about the man behind the wheel. What brought you from California all the way to Tennessee? From growing up around cars, I was able to easily explain to people the inner-workings of an automobile, so when I was getting married and starting a family, I started an automotive training business, training salespeople to sell new cars. My biggest client Nissan and Infiniti, used to import their cars through the port of Los Angeles and were headquartered in California, but when they began to build the cars here in the U.S. they moved their operations to Tennessee and so we moved too. And have you been racing cars this whole time as well? Actually, I stopped racing when I got married, started a family, and started a new business venture, you know life happens. I didn’t race for twenty-four years! When my youngest son was done playing baseball and I was done coaching, I decided to get back behind the wheel. I had started collecting and working on Camaros and around that time was the launch of the ‘Ultimate Street Car’ racing series, and they raced the kind of cars I was working on so we got into that and so we’ve been doing it ever since. You still had a desire to race after being away from it for so long? It never leaves you — there’s nothing more thrilling than racing a car as fast as it can go around a track — and especially with other guys trying to do the same thing and beating them. People like jumping out of airplanes and things like that and I guess that’s thrilling but you get to do this lap after lap after lap you know, it lasts a lot longer. And so, you’re racing street cars? Yes, these are street cars on street tires, but there are no horsepower limitations — the modifications you can make are wide open, so they’re quite powerful and very fun to drive. On street tires, there’s not a lot of grip there, picture a drift car that is going really rally fast — up to 170mph depending on the track. 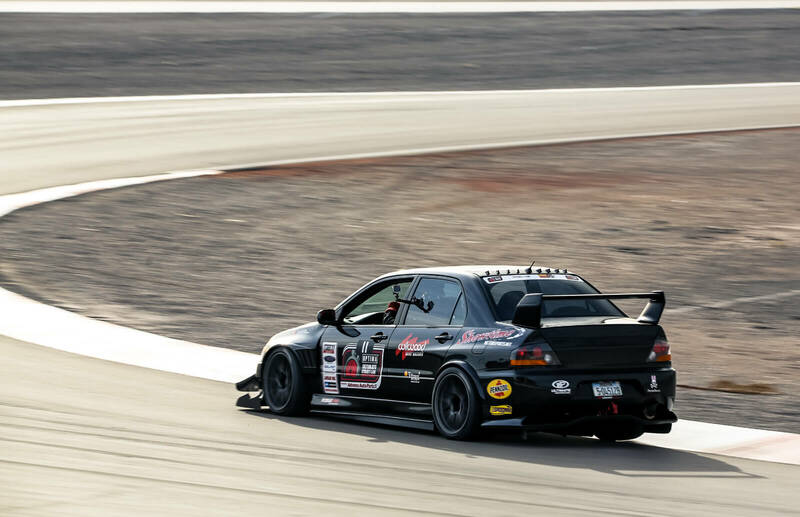 A race car would have slick tires that provide more grip as well as wings that provide down-force to help keep the car on the track at these high speeds — so to race a street car is quite the thrill and takes a lot of skill. Skill we’re guessing you’ve developed over your long career racing cars? Hahaha exactly! It’s a great deal of fun — it’s a national circuit of seven races that take place all across the country, and the finals are in Las Vegas every year. In 2017, I beat 99 cars to win that championship race. Racing in one of your Camaros? Actually, it was in a 2006 Mitsubishi EVO — an all-wheel drive turbo charged car. It really pissed off all of the Chevy lovers out there, who thought I was a traitor, but I just like to win so I picked the package that was the most competitive. And so that’s what we’ve been racing the last few years, and the car is wicked fast. It makes 700hp out of 142 cubic inches which is a pretty-small 4-cylinder engine. What’s next for you and your racing team? We recently purchased an Audi R8 LMS which is a factory race car that we’re going to be racing in addition to doing the ‘Ultimate Street Car’ series — while I still can, this is what I want to be doing — I’m still competitive and it keeps me motivated, it keeps me sharp. There’s plenty of time to take a cruise around the world, but the time for that is not now!